I was completely thrilled to receive this on Sunday from my Mum who kindly surprised me and my sister with the W7 beauty advent calendar. I hadn't been expecting a beauty calendar at all, though, I had hinted on many occasions. 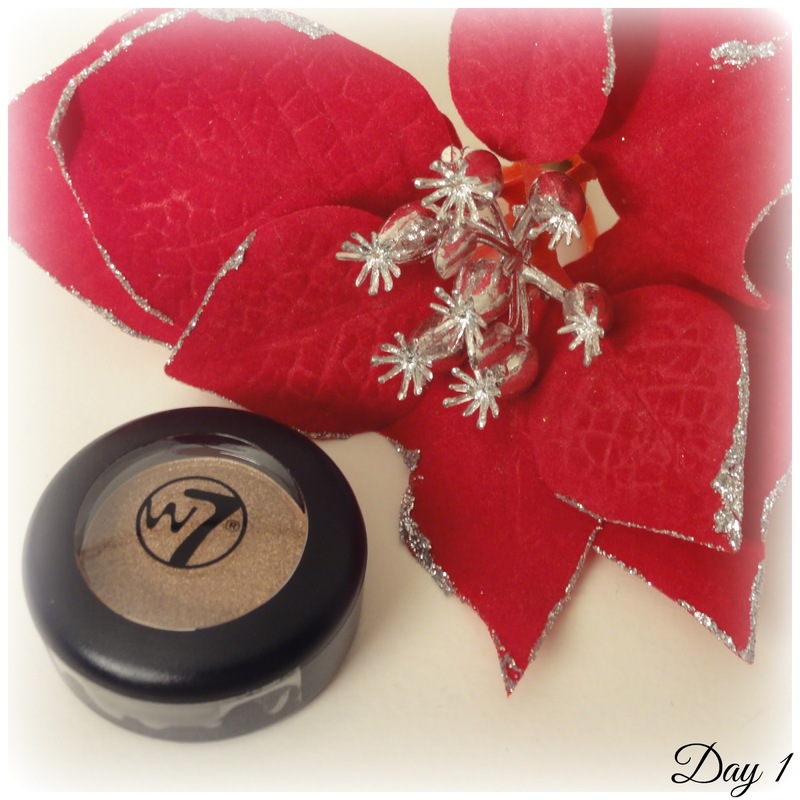 W7 is a budget beauty brand, much like Makeup Academy or Makeup Revolution, and a brand I've dipped in and out of when it comes to nail polish. It'll be a treat to try something more from them and share with you my thoughts. This post is a little later then planned but I shall be doing a weekly Sunday update of what I get until I've opened each door, so here's my first 'Sunday Blogmas' #1 on a Tuesday. I am very much a nail polish addict and love that there's a great selection of mini's in the first week of advent, but I found it to be a little bit repetitive and would of liked to have seen the products swapped round a bit. Saying that, it's still a fine selection with some great size sample/mini's. The swatches of the nail polishes are 3 coats. 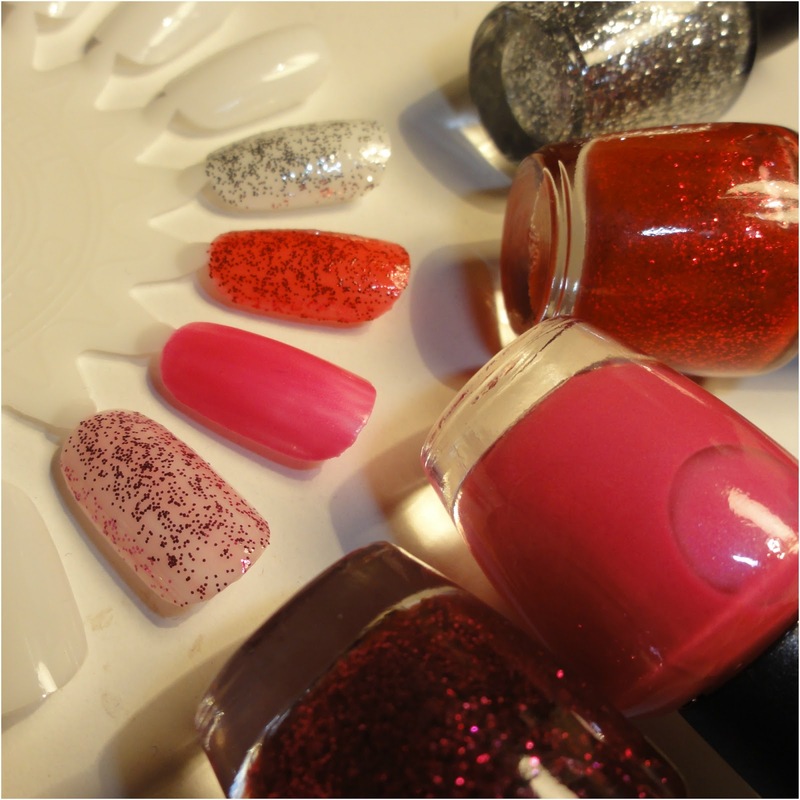 I'd recommend wearing the two glitter polishes with sheer colour coverage over the top of similar shades. I was pleasantly surprised by the pigmentation of the single eyeshadow and the lipstick, however I think the foundation maybe to dark for my skin tone.